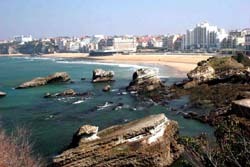 The presented room availability, rates and discounts are actual and final for all our 111 hotels in Biarritz. La Maison Blanche is considered one of the best restaurants in Biarritz dedicated to the national cuisine. The restaurant amazes its guests not only by a rich selection of dishes, but also by an elegant decoration of its halls. Spicy kebabs cooked in a special sauce, fried calamari in sherry, pigeons with a mushroom garnish and tender beef stew – these are just a few specialties of the restaurant that will surely delight every connoisseur of French cuisine. In the evening the restaurant often organizes engaging concerts and performances of dance groups. 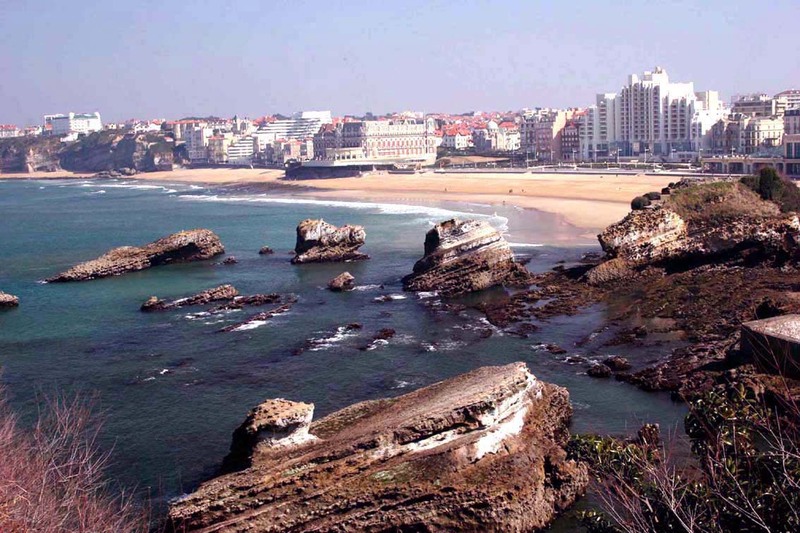 Le Crabe Tambour restaurant is the best place to try the most popular dishes from the Basque cuisine. Among the signature dishes of the restaurant you will find such delicacies as monkfish, which is usually served on a large platter with assorted seafood and baked potatoes. The restaurant is a perfect place for a family dinner. Rest in a large company will be no less delightful. You can continue your introduction with the culinary delights of Basque cuisine in the restaurant called Le Bistrot d'Antan. The menu of the restaurant features numerous sorts of exotic fish and rare varieties of seafood, which are prepared in accordance with special original recipes by the local chefs. If you prefer budget dining facilities, Cafe En Aparthé is one of the most attractive facilities in the city in this segment. In the morning this place is always crowded as many people come there to taste fresh croissants and stuffed pancakes. Rich choice of tea is considered the main feature of this dining facility. Young visitors will be surely delighted by delicious local pies with various fruit fillings. Travelers, who are on a budget, will surely enjoy visiting the restaurant named Negresse & Co, the basis of which is represented by the dishes from the national cuisine. Rather modest and cozy atmosphere, attentive staff and diversified menu with numerous dishes - Negresse & Co is always happy to please its frequent visitors.